I haven’t said anything about this publicly, because I wasn’t sure precisely what I was going to do with it. One thing I’ve learned about myself is that the best way for me to REALLY learn something is to research and write about it. Last year, after leading a tour of the Battles of Kelly’s Ford and Brandy Station for a busload, I realized that I didn’t know Brandy Station quite as well as I wanted. Consequently, I decided to do some more research on Brandy Station and to write about it in more detail than I’ve ever done previously. My book The Union Cavalry Comes of Age: Hartwood Church to Brandy Station, 1863 contains three chapters, totaling about 21,000 words, on the Battle of Brandy Station. It provided me with a good starting point, so I decided to expand on it and turn it into something more substantial. After several months of work, I’ve now got about 65,000 words on the Battle of Brandy Station. I’ve actually been working on this on and off since September or so, although it hasn’t been much at all recently because of the completion of the baseball project. The idea is to do something very similar to my book Protecting the Flank: The Battles for Brinkerhoff’s Ridge and East Cavalry Field, Battle of Gettysburg, July 2-3, 1863. That book contains a 65,000 word tactical treatment, lots of maps and illustrations, and a detailed walking/driving tour. Steve Stanley, the superb master cartographer who does the maps for the Civil War Preservation Trust, has, with the blessing of the CWPT, given me permission to use his excellent maps of the battle in the book. 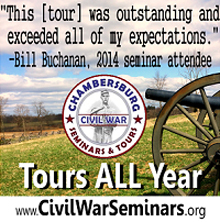 What this project is NOT intended to be is the definitive work on the Battle of Brandy Station. My friend and mentor Clark “Bud” Hall has been working on that for a long time, and what I’m doing is not intended to compete with what Bud’s doing. If anything, I hope that what I’m doing will whet readers’ whistles for Bud’s project, which is nearing conclusion. Indeed, I intend to steer readers to Bud’s book. 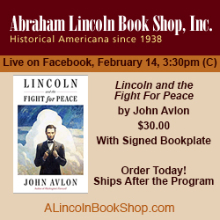 I’m hoping to donate at a portion of the royalties/proceeds to the Brandy Station Foundation for a fundraiser, and I expect that it will be sold in the BSF’s little gift shop at the Graffiti House so that the BSF can garner the profits from the sales of the book. Bud’s reviewing the manuscript for me now, and I have yet to put together the tour. I’m planning on doing that this spring when I go to visit Bud in Virginia. Since it’s been so well received with One Continuous Fight: The Retreat from Gettysburg and the Pursuit of Lee’s Army of Northern Virginia, July 4-14, 1863, I intend to include GPS coordinates in the tour. The problem is that a significant portion of the Brandy Station battlefield remains in private hands and is not generally accessible to the public, which means that I will only be able to include a partial tour. The thing should be finished in the next couple of months. I need to find a publisher for it. 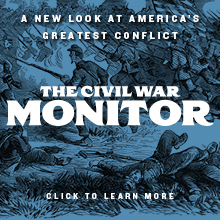 It would be a natural for Ironclad Publishing’s Discovering Civil War America Series, but we’re already backed up by four books, and with the publishing business being the way it is at the moment, it’s going to be quite a while before we could publish it. I also don’t want to use Ironclad as my own vanity press. Consequently, I am looking for a publisher for this work, and I welcome any suggestions that any of you care to make. Please feel free to pass on any suggestions. In the meantime, I will keep everyone posted as to the progress of the completion of the project and the hunt for a publisher. Really looking forward to this one, Eric. Wanted to say I am looking forward to this project. Any studies on Brandy Station from the great cavalry historians is an event. This battle has never gotten the treatment it truly deserves and it looks like your book and Mr. Hall’s will make an impact on the study of the battle.